The Club of Rome 50th Anniversary Seminar was held in Helsinki on September 20th 2018. 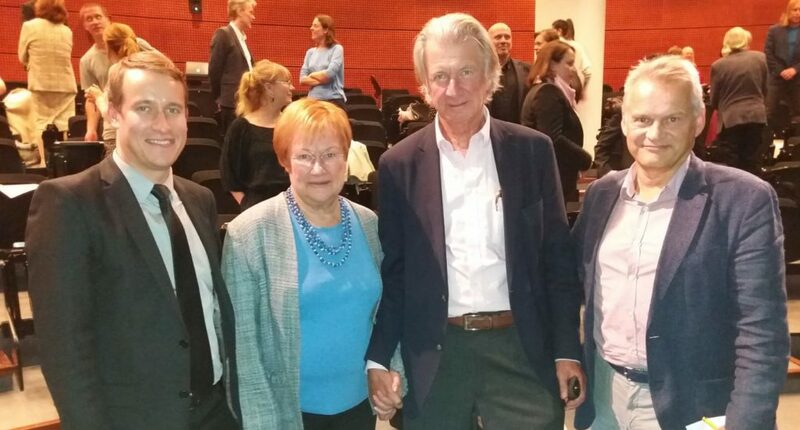 President Halonen is a member of the future research forum The Club of Rome and in her speech at the seminar she addressed the social and societal aspects of global challenges. Other speakers at the event were Co-President of the Club of Rome, Anders Wijkman and President of the Finnish Association for the Club Rome, Tapio Ojanen. Professor Markku Wilenius from the Future Research Center and Mika Kuismanen, Chief Economist of the Federation of Finnish Enterprises gave speeches about systemic aspects of global challenges. Seminar was organized by the Finnish Independence Fund for SITRA and Demos Helsinki. During the past 50 years, the Club of Rome has been visioning the future and has raised a debate for example on population growth and the impacts of climate change. These themes are still very topical today. You can read more about The Club of Rome from their website.